The Training Plan: The athlete will receive a detailed training schedule typically in bi-weekly blocks. This will include customized workouts which include target heart rates for each particular workout and session. Each weekly plan is broken down into individual day to day session plans. As an athlete, I've been competing for over twenty years at a very high level, starting with my time as a Division I collegiate cross country and track runner, and eventually a team captain. I went on to train for many marathons and qualified to run in the Boston Marathon in 2004. It was a great experience and I finished with a time of 3 hours 15 minutes. 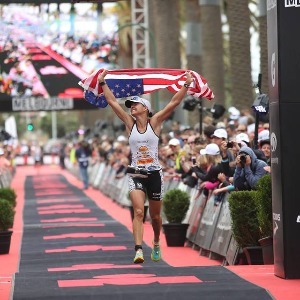 After Boston, I knew it was time for a new challenge and that is how I found triathlon. I am now a professional triathlete, have won two amateur Ironman titles, placed 2nd at Ironman Lake Placid and my personal best is 9:23 with a 3:03 IM marathon. I've coached over 150 athletes to personal bests and helped hundreds of athletes with their sports nutrition as a registered sports dietitian (CSSD, RD). As a coach, I have an excellent knowledge base to offer my athletes and real-life racing experience from beginner to professional. I have coached athletes from all levels of experience and ages of 16 to 65. In addition to my passion for triathlon, my professional career as a Registered Dietitian / Licensed Nutritionist provides me with unique opportunities to tie in nutrition with the athletic realm. Success. Coach Kim Schwabenbauer has been notified of your message.